We are so happy and proud to welcome La Yoga as our first Studio Partner in Australia! In our vision to heal and change the world, we need help. Therefore, it is our mission to partner with studios around the world. We are happy to welcome La Yoga in Melbourne to our partner network! We had a chat with Viola la Spina, the owner of La Yoga, to get to know them better. Welcome to La Yoga, a one of a kind boutique yoga studio, located in Melbourne's North West. Here, we combine traditional knowledge with modern sciences to promote marked improvements in your physical and mental wellbeing. "What a big question! I could write many pages on this! I am not quite sure how anyone can maneuver themselves through this emotional and sometimes tricky world without yoga. I really struggled before I found the yoga practice. Self-care and self-love were only concepts to me and definitely not something I was practicing. Yoga is the process of getting to know you. In this day and age, more and more people suffer from anxiety and depression. From my own experiences, I know the hopelessness and lack of joy that follows these conditions. I truly believe yoga is the natural antidote to these lifestyle diseases. 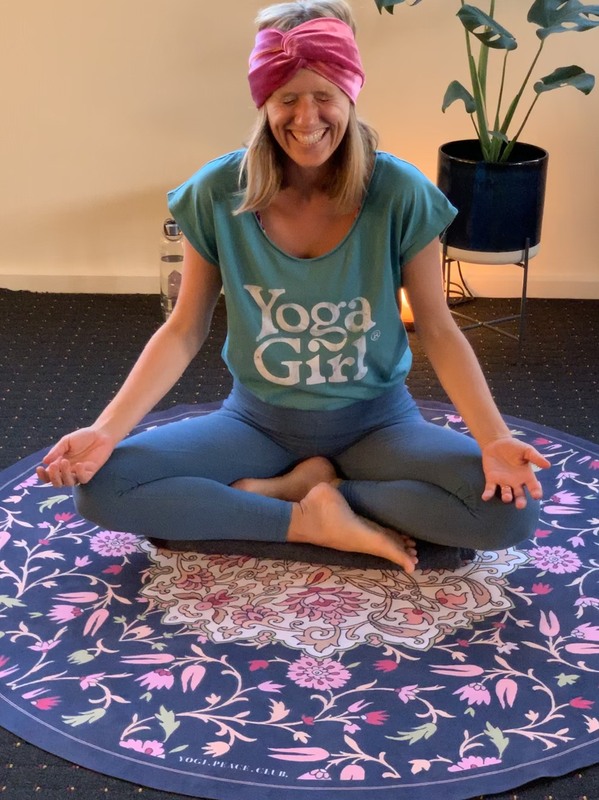 There are so many quick fixes (with enormous side effects) but yoga IS A PROCESS and you will not be there tomorrow, but the side effects of the yoga practice are increased joy and calmness." "La Yoga are so proud to partner with Yoga Girl®. We love the heartfelt and authentic community, supporting each other and those in need. Our intention is to spread the power of yoga and mindfulness wide and deep, creating a holistic community, emanating with compassion and love. Partnering with Yoga Girl® will make this dream become a reality." What do you think is unique about Yoga Girl®? "It is a heart-based business that sets the individual higher than net profit. The world needs more people that really cares and are willing to stand at the forefront ready to lead the way, for a new type of business to emerge." "What a brilliant support network, supporting the ones in our community that needs it the most! As yogis, we understand that we are all one, so supporting others, is benefiting everyone." "My intention when creating La Yoga was to create a space for our community to come together and practice side by side. To create a beautiful space where we can reconnect to our bodies, take deep conscious breaths and in turn leave feeling calm and uplifted. Partnering with Yoga Girl® allows us to reach further and deeper into our community, which is a dream come true! We will be sponsoring 5 women in need, for a yearly membership. Furthermore, on each of our retreats we will be sponsoring one or more women in need. It’s excited to have the opportunity to be part of this worldwide movement. That centers on love and compassion. By giving back, we allow the power of yoga and community to spread further. And last but not least, we are excited to swim in your crystal-clear waters of Aruba, trying SUP yoga, and all the amazing experiences at Island Yoga." We know you will enjoy practicing at La Yoga, as either a member or as a visitor passing through Melbourne. You can find all their information at www.layoga.com.au. Please follow them on Instagram @la_yoga_studio and welcome them into the Yoga Girl® community! Would your studio like to become a Yoga Girl® Partner? Send an email to us at info@yogagirl.com to let us know!